This was one of the first films to go on the Black Hole NOT ON DVD list nearly four years ago. At last it's been released in the UK and US. The 1969 TV series has been out awhile on DVD, titled slightly differently as H.R. 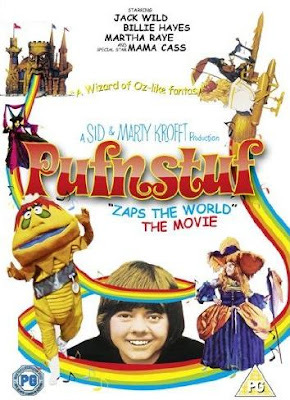 Pufnstuf, but this feature film is far funnier and, well, more 1960s than the series. Faster-paced, better music, more gags for adults, and better looking. I'd send new viewers to this before recommending anyone try the TV series, which is strictly for the very young or the very nostalgic. 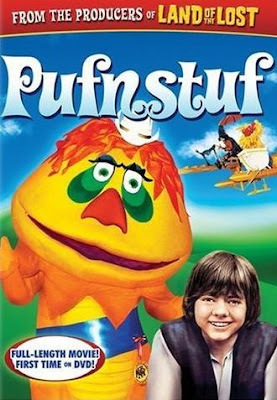 Pufnstuf - The Movie (1970) was released after the TV series. 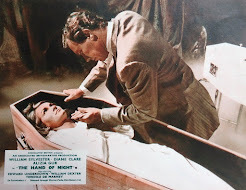 Like Batman (1966) and Munsters - Go Home (1966), this was cashing in on the success of the TV series. 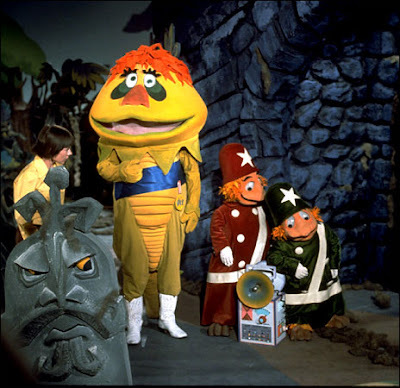 It's not a sequel though, it goes back to the very start and retells the story of how Jimmy gets to Living Island and meets Mayor Pufnstuf, the talking dragon. A few jokes are recycled from the series, but mostly it's all new stuff. Jimmy tries new ways to escape the island, but the wicked witch Witchiepoo thwarts his attempts. She wants to get his magic golden flute, in time for when all the witches in witchdom arrive for a convention in honour of their leader, Boss Witch! The series went out a couple of times in the UK, but the movie was more often repeated in summer holidays, which is where I first enjoyed it. I think it's still funny, and the sixties mentality is interesting in the context of a children's show. There's trippy colour effects injected into the musical numbers, fast and needless cross-cutting and even continuity-defying jump cuts. 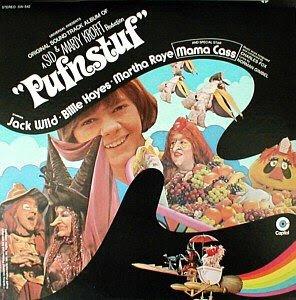 Jimmy offers the peace sign (with two fingers) when hailing the Hippy Tree, and the grooviest witch ever is played by Mamas and Papas singer Mama Cass. She belts out a wonderful song 'Different', that you don't hear anywhere else. It should really have been included in the soundtrack to Beautiful Thing. The soundtrack has other catchy songs, all far better than the series. The score by Charles Fox sounds like he's still in the mood for Barbarella (1968). The use of fuzzbox guitar is especially familiar. Fans of Jack Wild from his role in Oliver as the Artful Dodger, are treated to him singing two songs. Top honours go to Billie Hayes' performance as the outrageous Witchiepoo. She’s working it every second she’s on! Every movement and word gets 100% effort. She's not overplaying, because she's basically a pantomime witch, and not many people can play this big with so much energy and invention. I'm very surprised and disappointed that she didn't get more comedy roles off this. It's a powerhouse performance in physical comedy and timing, with an extraordinary vocal range that can switch in an instant from sickly sweet to furious bellowing. For the film, even more little people were brought in. In the series, Felix Silla (Twiki the robot sidekick from TV's Buck Rogers) and Angelo Rossitto (from Freaks to Mad Max 3) took turns playing all the small creatures in the series. But for the many crowd scenes and new characters, Billy Barty (The Wizard of Oz) also appears, in animal costumes and even made up as a female witch. Coincidentally, the producers freely admit that the world of Oz was a huge influence on the series. 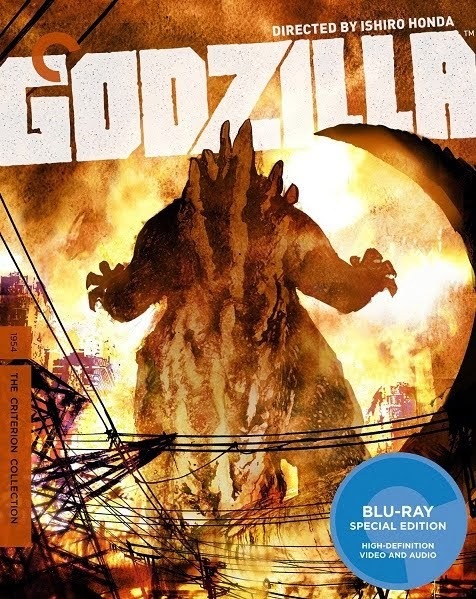 The new DVD looks spectacular, restoring the detailed image and bright colours that makes it really look like a feature film. The witch make-up and the costumes are notably more intricate, the sets are larger and more expensive. It's been remastered digitally and in widescreen, adding more picture area than before. 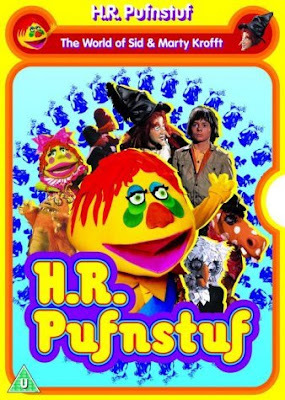 I've never seen Pufnstuf look so good. Metrodome have gone as far as to spread the extras onto a second disc, which is very flattering, but barely necessary. Apart from a great selection of photos, the interview material has already appeared on the TV boxsets. The UK artwork is a revamp of the original movie poster, far better than the kiddie approach of the US DVD (at top). But I'm glad that a great-looking widescreen DVD is finally widely available. Don't forget that the CD soundtrack is also available. It's a remastered version of the original vinyl album and uses the same cover art. 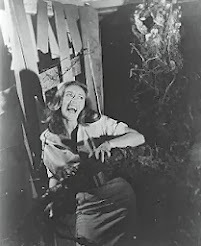 You might just recognise stars Martha Raye and Mama Cass in their witchy make-up. This article is respectfully dedicated to Jack Wild, who passed away in 2006 aged only 53.